Mount Athos is the spiritual capital of the Orthodox Christian world, consisting of 20 monasteries, 12 skites, and about 700 houses, cells or hermitages and approximately 2,000 monks. 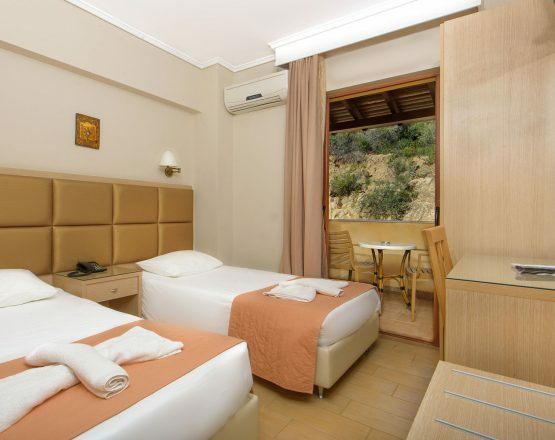 The “Garden of Virgin Mary” is the paradise of the eastern peninsula of Halkidiki! The Monastic State of the Holy Mountain is known to be the main carrier of Orthodox Christianity and holds spiritual glory and great history. It is a religious community with 1.000 years old monasteries, cells in caves or between the rocks, towers, domes, belfries, chants, etc. It is listed in UNESCO’s WORLD HERITAGE MONUMENTS. Even though women are not allowed inside Mount Athos, all visitors can admire the magnificent monasteries by cruising around the sea. Daily Boat Cruises, depart from Ouranoupoli and Ormos Panagias at Sithonia. 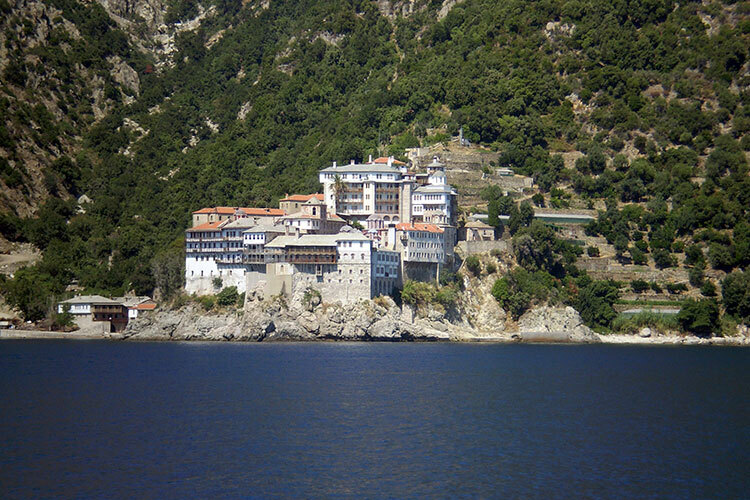 According to the written rules of Mount Athos, it’s forbitten for women to enter by any means or stay anywhere in the monastic state. This prohibition is called Αvaton in Greek. Ant breach of the rule is a punishable offence, because Mt Athos is dedicated to one woman whom all the monks honor and pray to; the Blessed Mary. Any Greek or foreign Orthodox Christian who wishes to visit Mount Athos must first get in touch with the Pilgrim Bureau in Thessaloniki (tel. 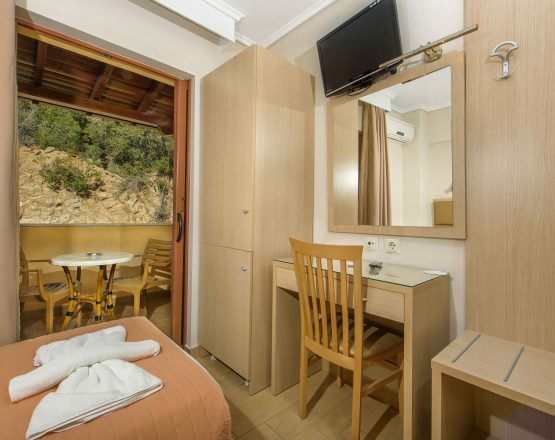 (+30) 2310 833 733) or Ouranoupoli, Halkidiki (tel. (+30) 23770 71 423) in order to obtain the Diamoneterion (visitation permit) which is valid for four calendar days.